On Monday, a South Texas police chief reported that two Mexican citizens were arrested at the Texas border after using stolen credit card information possibly obtained during the Target security breach over the holidays. The two suspects bought tens of thousands of dollars' worth of merchandise from national chain stores, although a federal officer later said that there was no connection between the Target data and the border arrests. The news comes two days after the revelation that the possible culprit in the whole mess is actually a Russian teenager. The two suspects were identified by McAllen Police Chief Victor Rodriguez as Mary Carmen Garcia, 27, and Daniel Guardiola Dominguez, 28. Garcia and Guardiola are both from Monterrey, Mexico and allegedly used the account information of South Texas residents to purchase goods at Best Buy, Wal-Mart and Toys R Us. Police say the arrests indicate hackers are selling the stolen information by region. While a discrepancy remains over whether or not the suspects are actually related to the Target case (and a Target spokesperson said the case is still active and ongoing) Garcia and Guardiola are being held on state fraud charges. Rodriguez also expects them both to face federal fraud charges. McAllen police were alerted to Garcia and Guardiola, who were allegedly carrying a whopping 96 fraudulent credit cards, after they tried to reenter the United States via the Anzalduas International Bridge, which connects Mexico to the United States. The police department was informed that a number of local businesses were the victims of fraudulent purchases last week, which were linked to the December Target data breach. 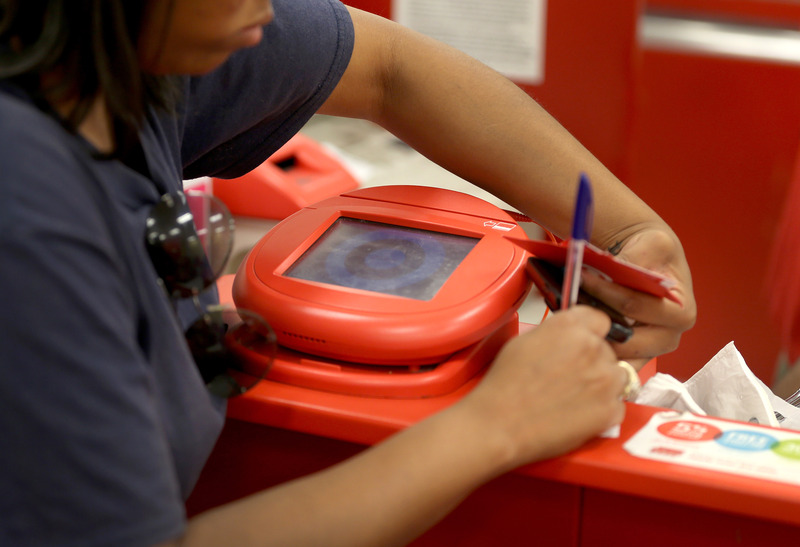 Target last week said that have managed to stop over a dozen counterfeit operations that attempted to scam victims of the security breach, which affected over 70 million shoppers, using email, phone calls and texts to alert them. The video below shows McAllen Police Chief Victor Rodriguez during a press conference about the arrests.